First-time visitors are encouraged to register for the “First Course Tour” on Wednesdays to learn about the rich history of the Lodge and its surrounding parkland. Tickets are $20 per person and include the tour, a beverage from a special drink menu and an appetizer sampler plate. Guided hikes are offered each weekend along with historic Trolley Tours. Music lovers enjoy the “Tribute to the Stars” shows, which include a buffet lunch in the Great Hall. The Branson Country Legends Matinees are set for April 9-11. Dueling Pianos returns April 16-17. Enjoy more country music at Cash, Conway & Brooks Legends matinees on May 7-8, and a Rock & Roll Review set for May 9-10. 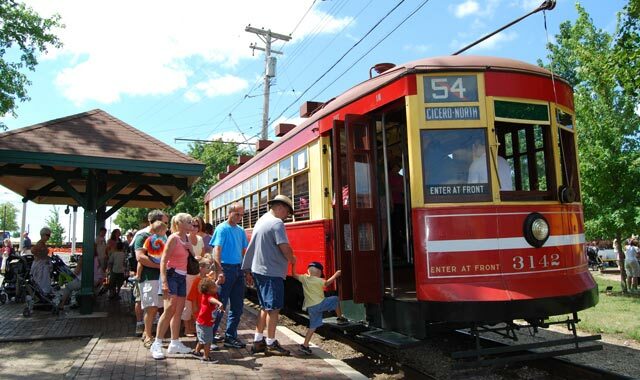 The Illinois Railway Museum, in Union, Ill., celebrates the state’s bicentennial with rides on steam, diesel and electric trains, including the trolley. 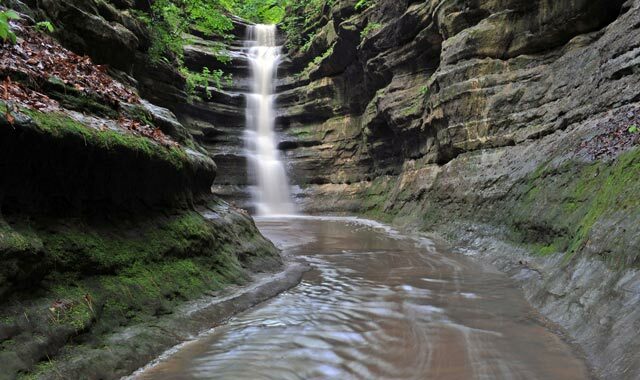 Spring signals a time to get out and get away, and McHenry County, Ill., just a 45-minute drive east of Rockford, has plenty to offer for both day trips and weekend adventures. Speaking of water, Chain O’Lakes State Park, near Spring Grove, has much to offer. The park borders three natural lakes – Grass, Marie and Nippersink – and the Fox River connects another seven. The park also contains a 44-acre lake within its boundaries. In all, the Chain O’Lakes system encompasses 6,500 acres of water and 488 miles of shoreline – a real haven for boaters, water skiers and fishermen. • Earth Day at Prairieview Education Center, in Crystal Lake, on April 21: This event features guided nature hikes, environmental exhibits, games and crafts, live music, open mic, puppet shows and food vendors. • Craft Brew Crawl at the Lost Valley Visitor Center in Glacial Park, in Ringwood, on April 21: A beer-tasting hike through Glacial Park features stops along the way to taste microbrews from several local microbreweries. • Glacial Park Team Challenge, Non-Competitive Recreational Triathlon, in Richmond, on May 19: Participants bike 14 miles, hike/run five miles, and paddle seven miles. Registration deadline May 7. • Food & Wine Pairing Classes at Loyola University Retreat & Ecology Campus, in Woodstock: Two professional chef-instructed classes are offered, starting with the Vegetarian Wine Dinner on April 28. It begins with a wine reception and appetizers, followed by a totally vegetarian five-course dinner. Then on May 11, the Champagne & Sparkling Wines class features a champagne reception with appetizers that leads to a five-course dinner paired with champagne and sparkling wines from around the world. 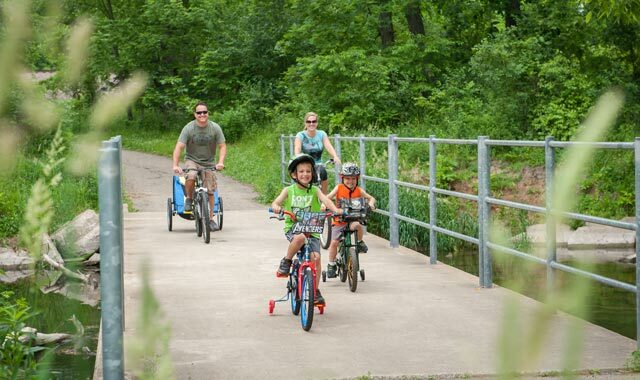 Three major bike trails wind through DeKalb County, Ill., and its rolling terrain. It’s one of many ways to enjoy the region once the warmer weather returns. This is a prime time of year to explore DeKalb County, Ill., which is filled with popular attractions that can excite the family come rain or shine. While in Sandwich, visit the Stone Mill Museum, which opens the first Sunday in April. It’s laden with artifacts of the city’s storied history, including the tale of how this community got its tasty name. Craving fresh tomatoes and other veggies? Springtime means the arrival of farmers markets and stands, and the locals flock to places like Theis Farm Market, in Maple Park, and Yaeger’s Farm Market, in DeKalb. The weekly farmers market in Genoa opens in May, while markets in DeKalb, Sandwich, Somonauk and Sycamore open in June. This entry was posted on Tuesday, April 3rd, 2018 at 11:59 am	and is filed under Annual Guide, Recreation & Destinations. You can follow any responses to this entry through the RSS 2.0 feed. Both comments and pings are currently closed.